Notes: Comes with bolts, bushings, washers, and link plate. 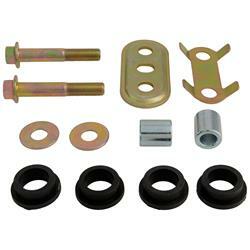 Service your vehicle with TRW inner tie rod end bushings. These kits meet or exceed all OE performance specifications and restore reliable, safe operation. Many of their offerings also include OE-quality hardware installation accessories.